Vertical garden. 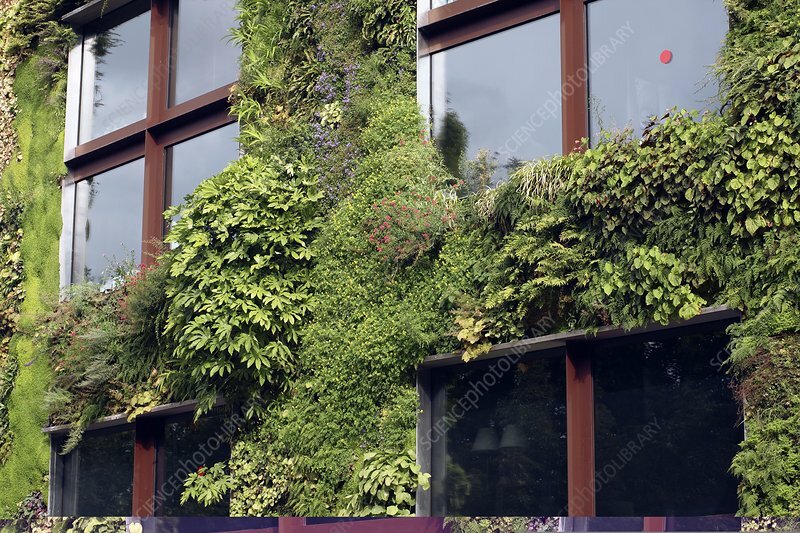 Also called a green wall, living wall, or biowall, this horticultural and architectural installation consists of plants growing or hanging from a wall. The use of plants in this fashion can help cool buildings, and can also help improve a building's ambience. Photographed in Paris, France.